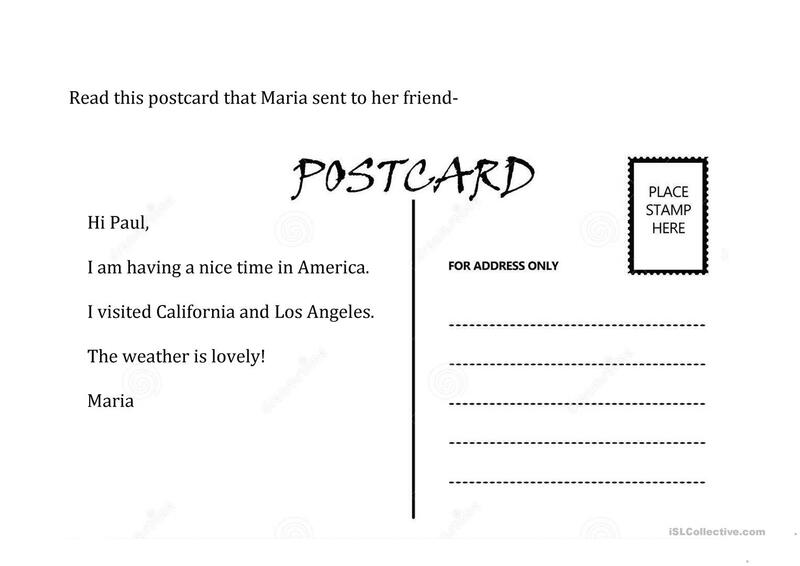 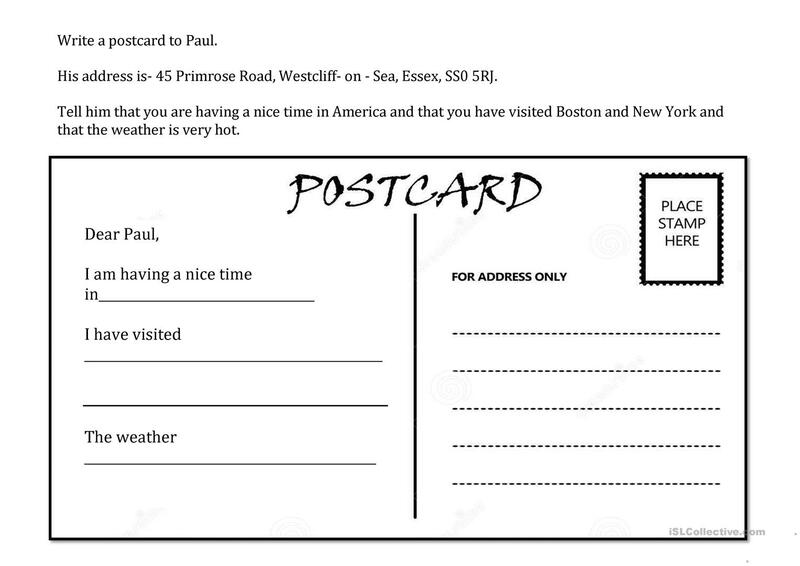 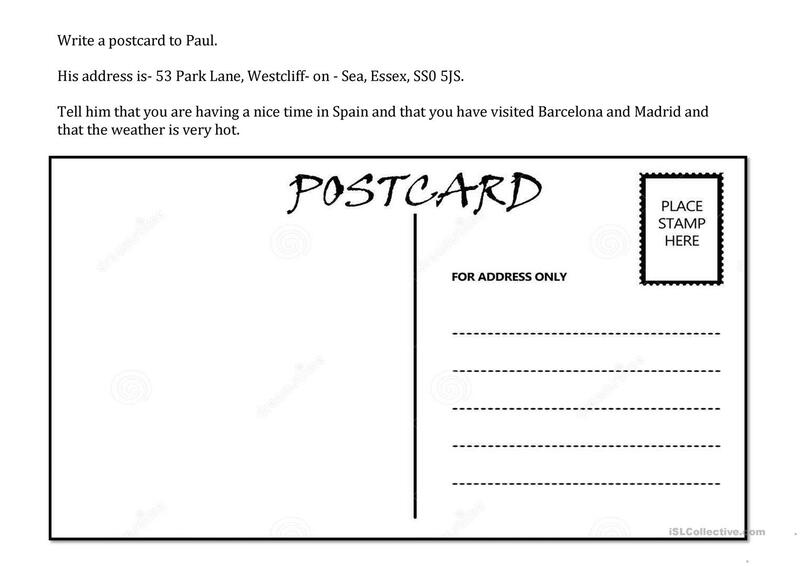 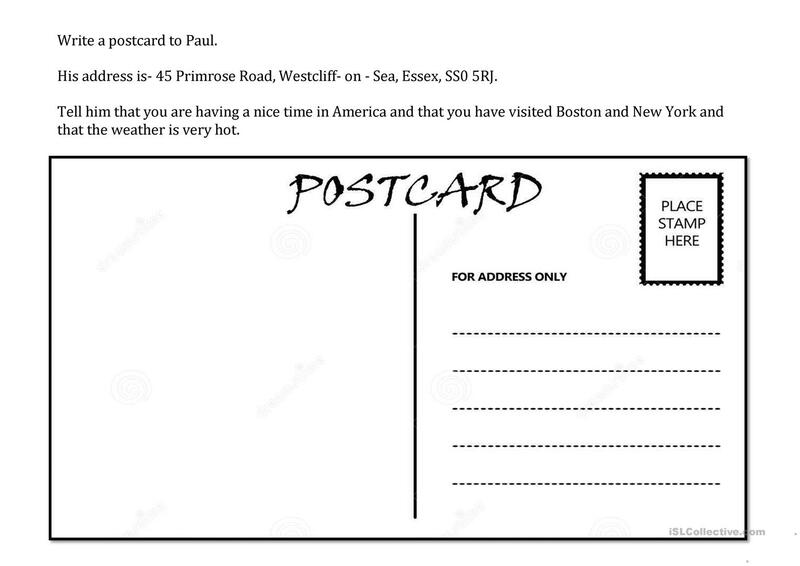 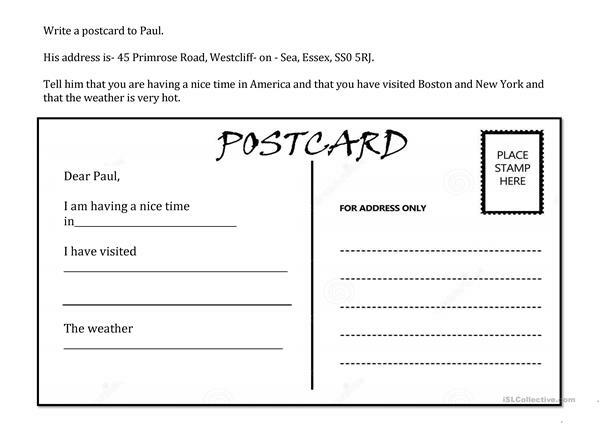 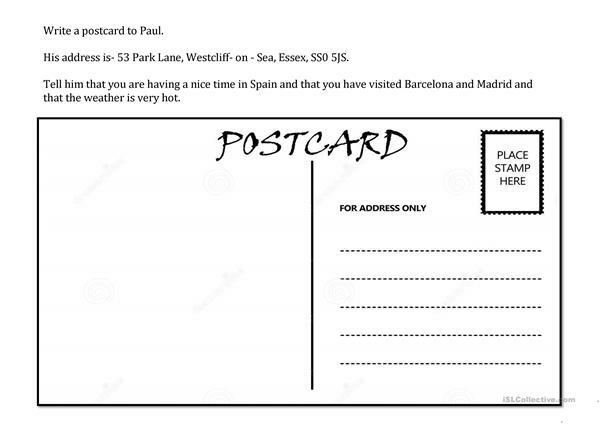 This is worksheet to allow beginner students to write a basic postcard to someone. 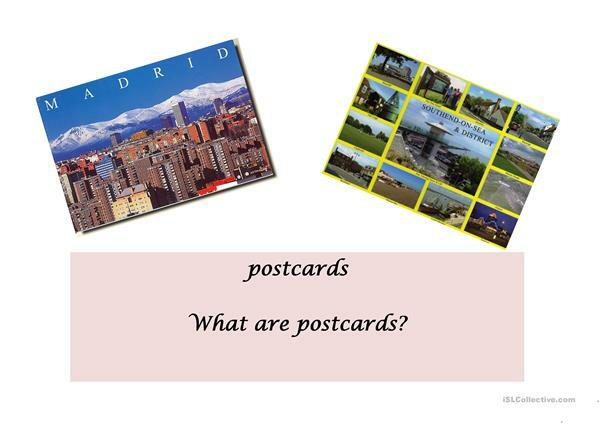 It does not use the present perfect tense and uses very basic language. This downloadable handout is best suited for adults at Beginner (pre-A1) level. It is aimed at practising Verb tenses in English, and is useful for strengthening your learners' Writing skills. It is about the topic and words of Holidays.